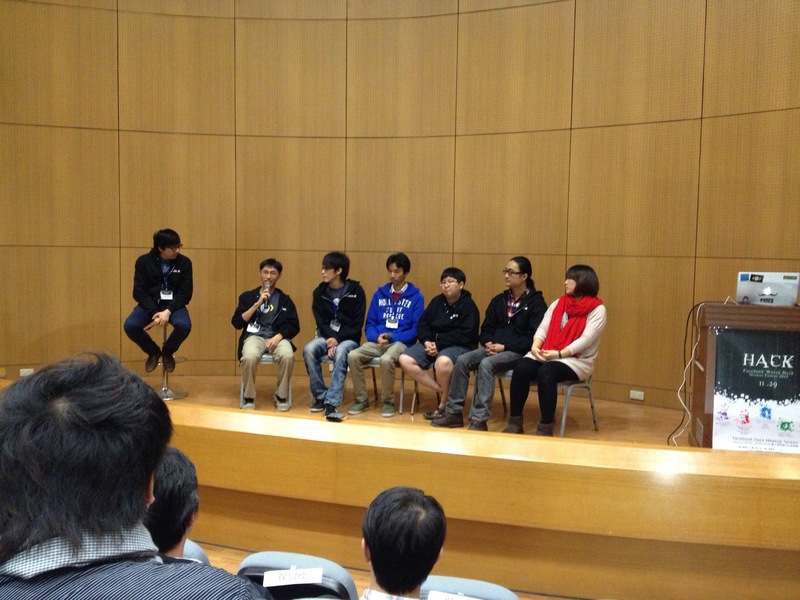 All Facebook World Hack Taipei award winner were here, sharing their experience and award winning work from Facebook World Hack 2012. 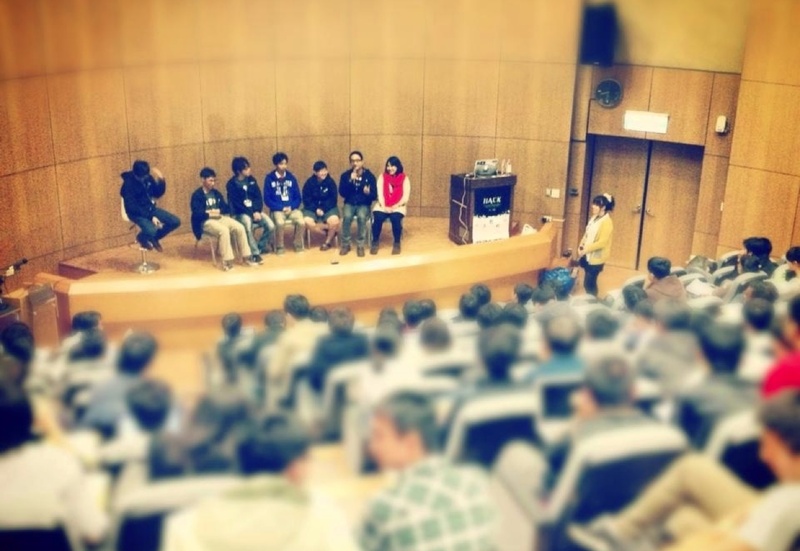 More than 300 Hackers has joined two meetup events, and happily meetup together. 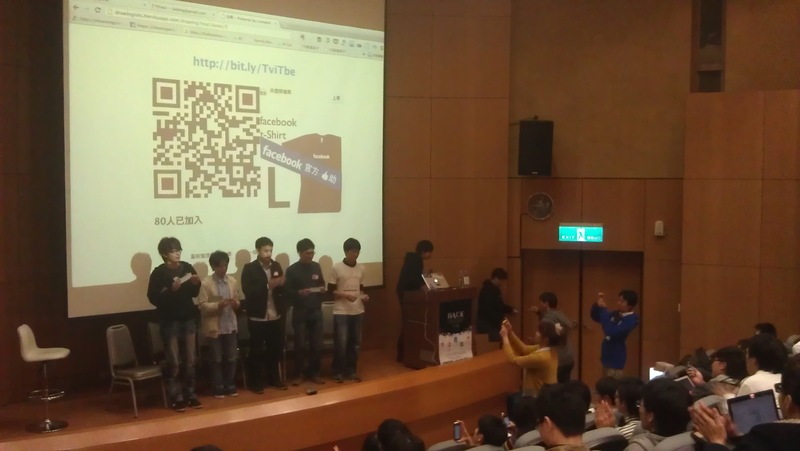 At the end of the event, we use a funny Lottery App, which was invented by our team within one week, to giveaway Facebook swag package items to attendees, which attendees can scan the QR Code on projection screen to grab a chance to win Facebook shirt, attendees love it! 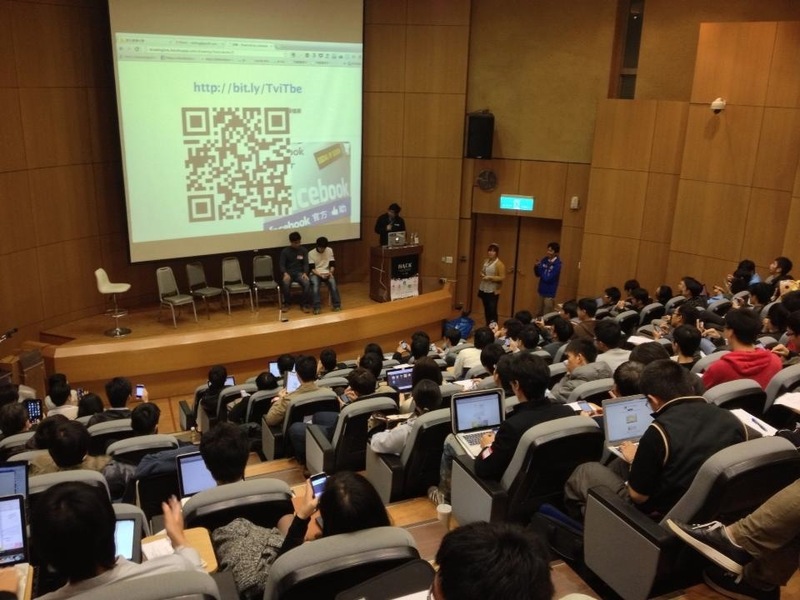 *See: Facebook Hackday Taiwan Meetup webpage.